Sweet and a little bit sour, very aromatic and refreshing drink. 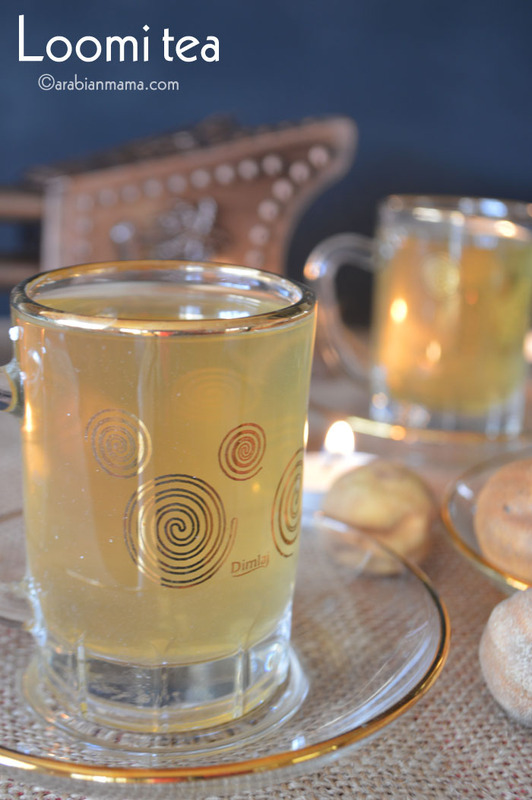 Drink it hot in winter and cold in summer days, here comes the Loomi shai. Cold weather is hitting us hard and sudden these days, temperatures dropped and soon we will be hitting the sub zero temperatures and I have to say my goodbyes to the nice fall weather we had. We are having a high cold season now in Denver, every week someone I know is having a severe cold and it seems that it will not stop until weather settles down to a range of temperatures. Our drink today is an ancient one that has been around for God knows when. 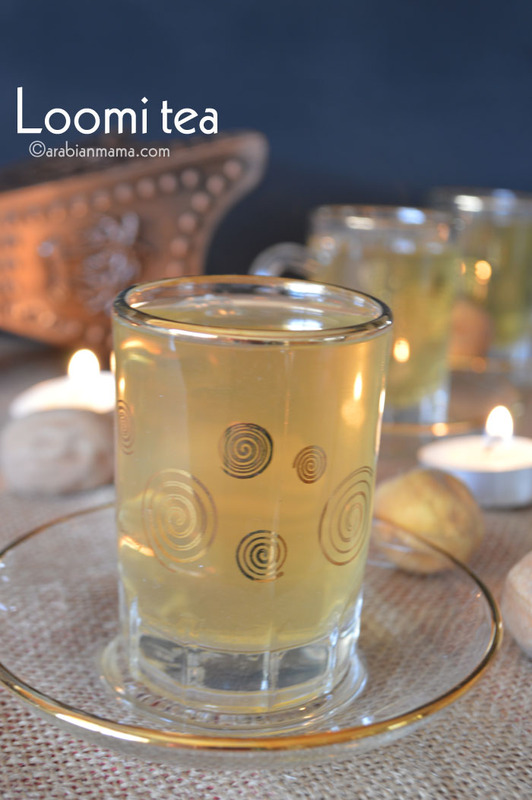 It was served in the old days during wedding parties in the gulf area, but now it is not that common to find this traditional drink. Omani dried limes vary in color from tan to black, they have a nice unique aroma and a desirable tart citrus flavor. It is said that it has high health benefits due to being rich in vitamin C, it boosts your immune system and help you fight common colds and some other diseases, but many people say it is very beneficial when you are having diarrhea and gestational problems. 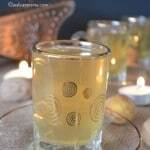 So off we go to make this sweet citrus tea, adjust the sugar to your liking, drink it cold if you are in the southern part of the hemisphere, or hot if you are waiting for the winter like we are. 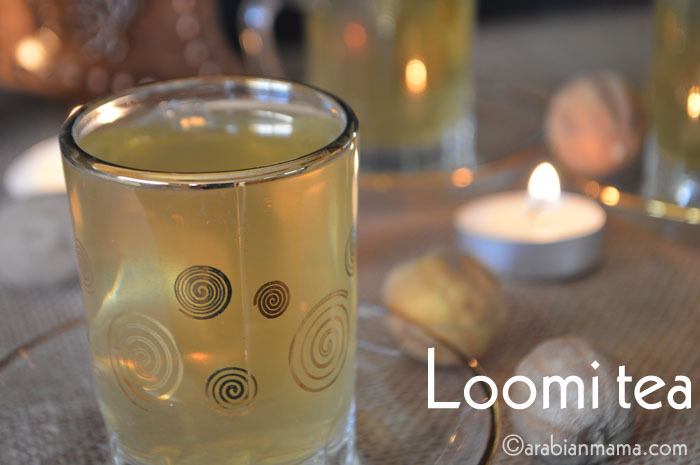 Now let me show you how to prepare loomi shai… Enjoy the rest of your week. 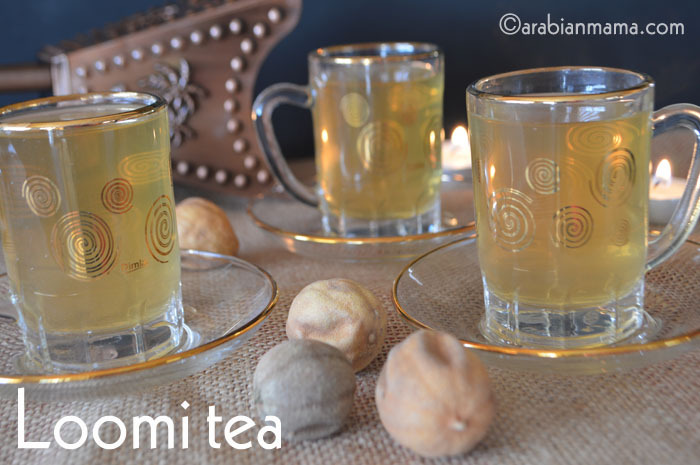 An aromatic and refreshing citrus tea. 1/4 c of sugar or to taste. 1 1/2 c of water. a pinch of saffron threads - optional. *Crack the lime, or break it totally and use the pulps. Combine limes, saffron, water and sugar in a sauce pan, bring to boil. Reduce heat, and simmer for more 10 minutes. * Some people prefer to use the pulps only and it might get bitter by using the hard shell. I too am not looking forward to the winter! Looks like the perfect drinks for the cold winter days and nights Amira. It’s still warm here but winter will come soon for sure. Totally new to me but it looks wonderful and I love the cups!! Nice recipe . We make the same tea using fresh lemon. Using dry lime sounds good. I am settled in mid east and dried limes are always in my pantry. Will definitely try it out. LOVE this idea. I have a huge bag and barely do I feel like I make a dent in it so will be making some this weekend. I like the touch of saffron a lot. 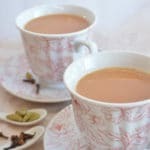 Never had saffron tea. 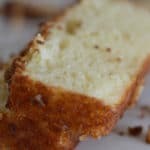 I have to try with lime — just this same recipe. 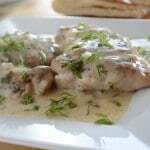 Great recipe for low temperatures.